Edible Arrangements, one of Entrepreneur’s top 40 “Fastest Growing Franchises” today announced a program aimed at helping veterans become business owners and re-enter the workforce. Edible Arrangements CEO Tariq Farid today announced a major contribution to the International Franchise Association’s (IFA) VetFran program. He also launched “Hero’s Welcome,” a nationwide program designed to help veterans become business owners and re-enter the workforce. The company will contribute $125,000 to VetFren, the IFA’s program that helps military veterans make the transition to civilian life through franchise ownership. 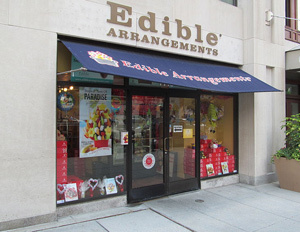 Farid founded Edible Arrangements as a teenager. With his brother, Kamran, the two turned the company into a the name synonymous with fresh fruit arrangements. The franchise currently has more than 1,100 locations worldwide. Through the IFA, Farid also is participating in a new Veterans Business Accelerator program created by the Department of Veterans Affairs, which will provide free courses and resources for all veterans interested in entrepreneurship. The program includes providing financial support to wounded veterans doing the coursework. IFA President and CEO Steve Caldeira said the IFA is excited about the new program and opportunities created by the support of Edible Arrangements. “We are extremely grateful to Tariq Farid for his outstanding leadership and support of our nation’s veterans,” Caldeira said.